2020 Celebrates w/ Expedition Kilimanjaro! 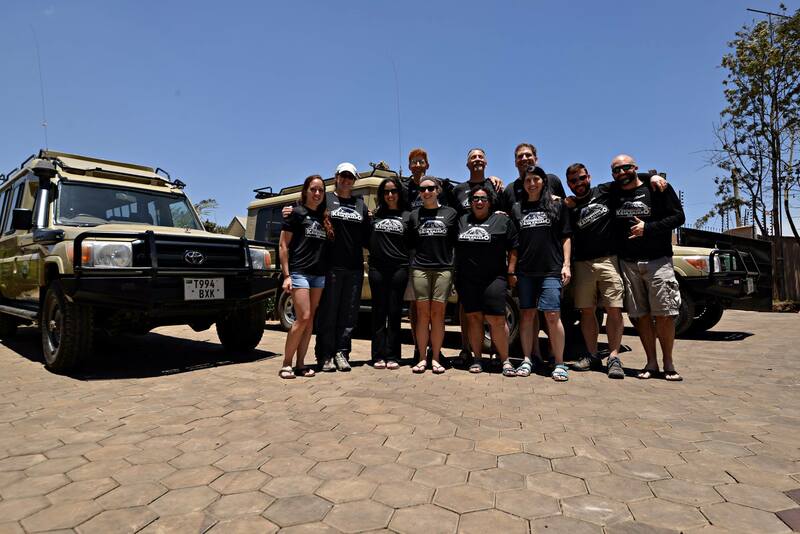 On September 18th the 2020 Vision Quest Kilimanjaro team set out on the long trek to Tanzania to conquer Mt. Kilimanjaro. Be part of the adventure with one of these great shirts! Join the Team and Support 2020 Vision Quest! On September 21, 2015 eleven friends will set out to reach the summit of Mount Kilimanjaro in Tanzania. Kilimanjaro reaches 19,341 ft above sea level, making it the highest point in Africa and the highest free-standing mountain in the world. To accomplish this, the team will rely not only on their own determination but also on the support of the team as they work together to reach their goal. Their team doesn't stop at the 11 members of the trek, nor does it stop at the efforts of their guides. Their team includes each family member, friend, and supporter who has supported their training efforts, encouraged their adventurous natures, and now who watch eagerly to share in their success. Commemorate this team adventure with your very own 2020 Vision Quest Expedition Kilimanjaro 2015 shirt! All proceeds from the sales of this shirt will benefit 2020 Vision Quest in their efforts to educate and encourage others to reach their Peak Potential!